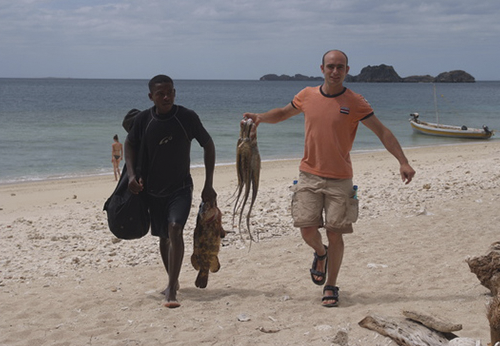 Madagascar is increasingly becoming the Indian Ocean's answer to Kalymnos in the Aegean sea. Over the last decade the ex-French colony has consistently lured some of the best climbers in the world to its immense Tsaranoro walls, and names such as Michel Piola, Lynn Hill, Rolando Larcher, Kurt Albert and Bernd Arnold testament the importance of this area as one of the world's finest big wall venues. 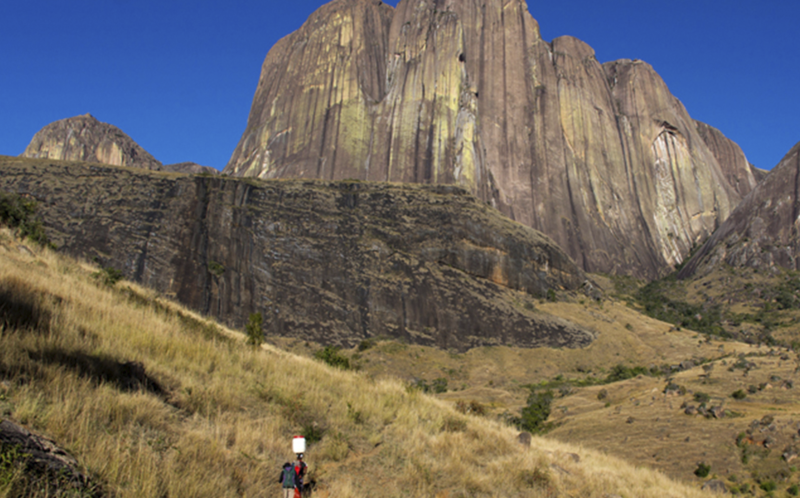 One of the most impressive spots for scaling some rock is at the Tsaranoro Massif. This giant body of rock is the high­est point of the island, and there are some pretty extreme routes up a straight rock face. The massif of Tsaranoro is not any more reserved for the world elite in climbing. there are actually about thirty open routes with a difficulty level varying from 3 to 8 b. From beginners who will have the opportunity to take their first steps to high skilled climbers, the Massif of Tsaranoro is for you. 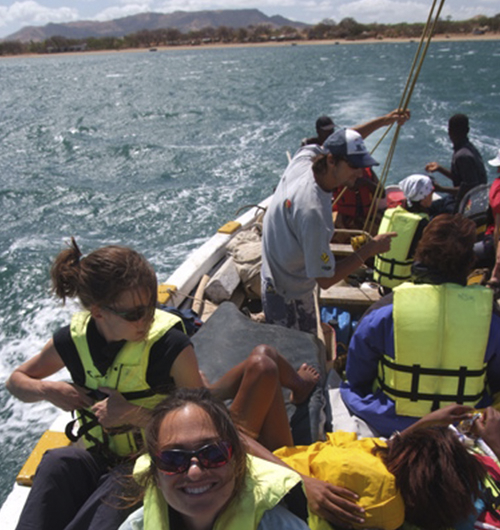 But the island is in fact much more than "simply" the Tsaranoro massif, and numerous sports crags and bouldering spots offer just as much adventure as the granite walls that tower in the middle of the island. 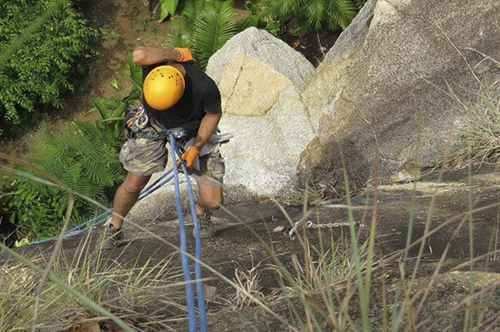 From boulders to big walls, on granite, gneiss or limestone, exists today over 500 bolted routes on the island, and still there is an enormous potential for further exploring. 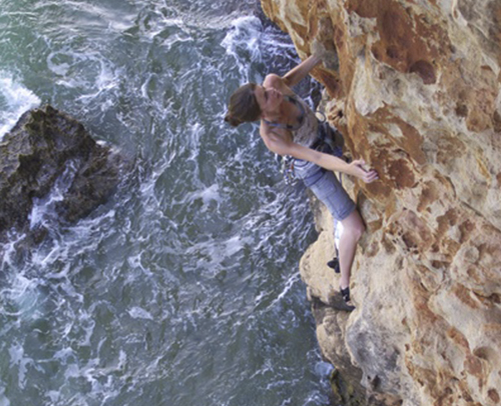 For example, a rock climbing trip to the north coast region around the town Diego Suarez offers you three different areas of sport climbing suitable for all levels. THE ARCHIPELAGO OF NOSY HARA: Untouched nature, like you have never seen it before! Two islands, with around 80 equipped routes between 3 and 8a. Nosy Anjombavola, the sacred island, allows only short visits since it is actually an ancient royal graveyard (4 sectors, 40 routes von 5c to 8a (majority 6b-7a). And Nosy Andantsara, where a small primitive camp has been installed for a limited number of visitors at the time (4 sectors, 50 routes from 3a to 8b (majority 6a-6c). 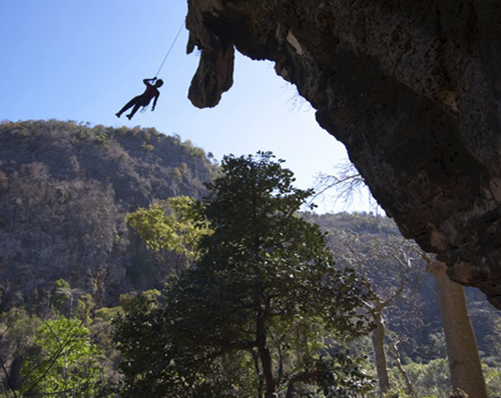 VALLÉ DES PERROQUETS: Is the latest tropical climbing area revealed, well hidden in the jungle. Surprisingly you find incredible limestone rising high above the papaya trees, with plenty of holes, roofs and stalactite creations. MONTAGNE DE FRANCAIS: Four kilometres of exceptional limestone, with the nicest routes. 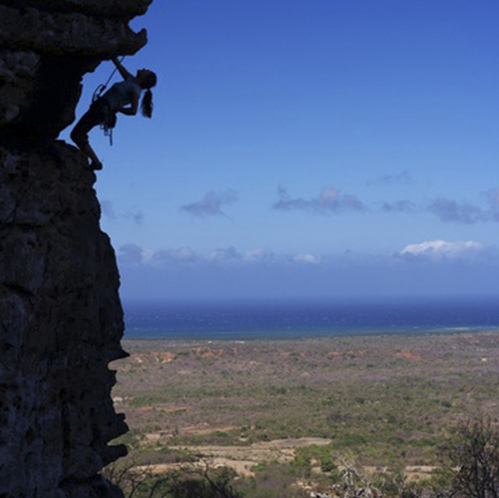 Located high, but the uphill walk is worth while the splendid view over the beautiful bay of Diego Suarez (12 sectors, 130 routes from 4b to 7c+ (majority 6a-7a), up to 4 pitches). 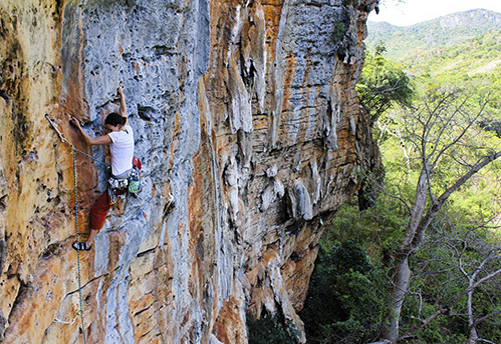 Even though offering world class climbing, that few people ever visits, Madagascar is a lot more than a place to climb in. The exotic environment, the friendly people, the old traditions bringing Asian and African culture together, is like entering a peaceful world, not yet exploited by the western countries. 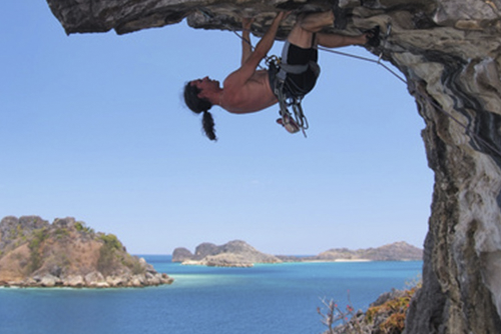 Albert Leichtfried, one of Austria's top ice climbers, recently fell victim to Madagascar' exotic mix, spending his honeymoon there and discovering the island to unearth new routes. The result? A completely new sector called, unsurprisingly, Honeymoon and a feast for all senses.